As Uganda was moving into a brighter future, Entrepreneur Dr. Dan Twebaze, identified, in the mid 90’s, market demand for improved accommodations. Acting as a sole proprietor, with very limited resources, but with a disciplined execution approach, combined with hard work, Dr. Twebaze successfully delivered a 26 flat-lets housing project, building a good reputation within the financial community for efficient delivery of real estate. With the existing virtual team of experienced professional consultants who include the architects, civil engineers, surveyors, mechanical engineers, electrical engineers, tax advisors, legal advisors and financial advisors, the group has always carried out most of the consultancy works in house and this has always minimized the development costs for any given project. The consultancy team has experience ranging between 15 -35 years in respective fields. Dedicated to the co-ordination and functionality of space thus letting you focus on your core business. TWED is one of the few facilities management companies responsible for the day-to-day operation and care of prestigious Government, Parastatal, Blue-Chip and other world Class Business Organizations. Facilities Management enables clients control expenditure while improving service delivery. TWED is currently in diversification into development and management of hotels and resorts. 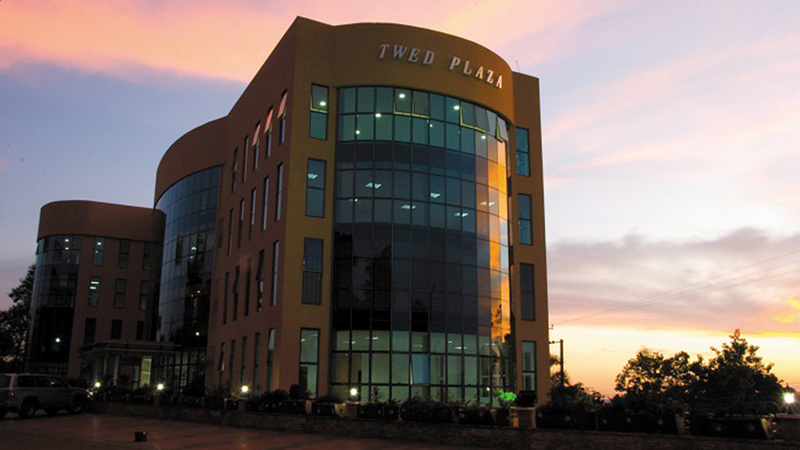 TWED Properties is in the process of developing a Mixed – Use Project in the Central Business District of Kampala. The Project will house an International Branded Mid-scale business hotel, Office Space Service Apartments and Condominiums which are expected to be complete by December 2020. The group has trained and built capacity for a number of artisans including building clerks, masons, electricians, plumbers and site supervisors who are responsible for the construction of all our projects. The team has a lot of experience in construction thereby, building confidence in whatever we do. Kickers provide lateral support for concrete framework.The columns transmit through compression the weight of the structure above to other structural elements below. © TWED Group - 2018. All rights reserved.